The developer Emaar, which is partly owned by the government of Dubai, has recently reported 80% occupancy levels in Burj Khalifa. It highlights that after only 2 and half years of its opening, the world’s tallest tower is now home to some 700 families. As per the developer, Burj Khalifa has maintained such high occupancy levels despite falling rental rates and property prices. One of the spokespersons from Emaar said that the demand of units (commercial as well as residential) is significant in Burj Khalifa. Especially the demand of its units in secondary market is more significant. He further highlighted that consistent demand of units in the tower has been reported by third-party market analysts as well. It was reported earlier this year that property prices in luxury apartments of Burj Khalifa fell to as low as AED 2100 per square foot. 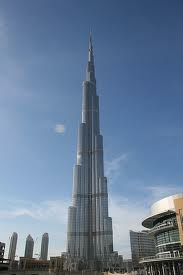 Despite this fall owing to distressed sales and high service charges, occupancy levels are 80% in Burj Khalifa. The Managing Director and the CEO of Dubai based Signature Group, says that he has been offered an opportunity to buy one apartment at AED 2100 per square foot and another at AED 2500. He further adds that when Burj Khalifa was launched it was a dream to buy property here but the property cost was AED 7000 per square foot at that time and his investors did not want to buy at that price. Now as the prices have come down to AED 2000 square foot, investors think it is a distressed purchase. Owners are listing price of a luxury apartment at AED 3200 per square foot but they also accept offers of as low as AED 2930. Burj Khalifa was inaugurated with spectacular display of fireworks and sprinkling water back in January 2010. There are total 900 apartments in the building out of which 90% were sold ahead of its launch. The height of Burj Khalifa is 828 m and it also contains 160-room Armani Hotel, 37 floors of office space and 144 Armani branded residences. Since the building was opened in 2010, it also experienced slump in rental rates. After the first nine months of its opening, 825 of 900 apartments were vacant. The rent of a studio in Burj Khalifa fell by 40% to AED 6666 per month. On the other hand, the rent of a one bedroom room apartment also fell to AED 10000 per month. The cheapest property now available in Burj Khalifa costs AED 2456 per square foot. As compared to other residences of Emaar in Downtown Dubai Burj Khalifa charges high maintenance fee. The major reason behind the fall in prices is high service charges, since they make the major potion of rental yield of landlords. This is leading them to sell their property.